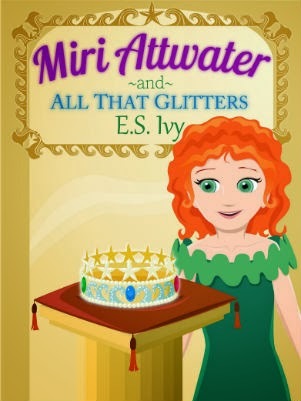 I am delighted to introduce you to E. S. Ivy, today's guest blogger. 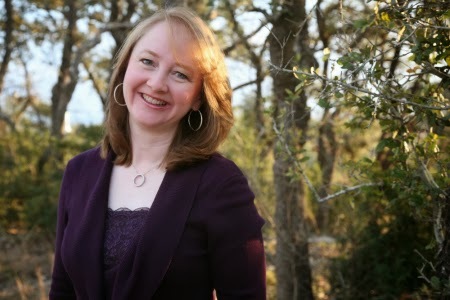 Growing up in East Texas, she preferred her adventures to be in books. A chemist by education, her interest in plants led her to be involved with research studies on space missions; she's also worked as a writer and editor of children's science textbooks but got frustrated when all the fun parts got taken out. That's when she turned to novel writing: lucky for us! I think that path for all writers – especially for children's writers – starts when we're readers, as kids. And I had some definite opinions on what I wanted to read when I was young. Before I even started a book, I wanted to be sure the book was going to have a happy ending. Because if it had a sad ending, I wasn't going to like the book. And then I would have just wasted my time. I also wanted to read a book about a girl. I was totally uninterested in books about boys. This held for everything from biographies to mysteries. It couldn't be too spooky. I could scare myself perfectly well on my own. My imagination didn't need any new ideas. And lastly, I really wanted books that I could learn something from without putting in any effort. That's probably why I liked biographies. I loved Sydney Taylor's All-of-A-Kind-Family where I learned a lot about Jewish holidays. And it's also why I was so disappointed by A Wrinkle in Time series. After all that learning about farandolae and mitochondria, it was a let down to find out that none of it was true. I wasn't secretly a mitochondria expert. But books that set out with the goal of teaching science tend to sacrifice the story for the science, so when I began to write the book that later became Miri Attwater and the Ocean's Secret, I was planning to write straight fantasy. What could be easier? Need something? Just use magic. How could a girl grow up not knowing she's a mermaid? Her legs magically turned into tails in the sea water. That's it. Magic explains everything. It had been used by writers before me, all the way back to mythology. But every time I wrote about mermation, something was off. It felt hollow and unsubstantial. I didn't believe it. And if I as the writer didn't believe it, then the reader wouldn't either. Then I got to the part where Miri swam in the ocean for the first time. I tried to write the scenes strictly from the memories of snorkeling trips from several years before. But just like the photos from our disposable underwater camera, my words were washed out and hazy. They didn't capture the vividness of the tropical ocean. So I let myself watch some marine documentaries. And then I may have watched a few more. Let's just say that I get a little obsessed with research, and leave it at that. Then at some point in all my obsessive viewing, I saw an octopus instantly change the color and texture of its skin for camouflage. And just like that, I knew. My mermaids didn't need magic for mermation. All they needed was a little octopus biology! Which means mermaids really could exist. In fact, Christopher Columbus recorded a mermaid sighting in his captain's log. Who says mermaids aren't real? It might tell you a little bit about me, that at this point I feel compelled to tell you that I'm not a marine biologist. In fact, my PhD is in plant biology, not even animal biology. But in researching the Miri Attwater books, I found that marine biology is more fascinating than I ever thought possible. 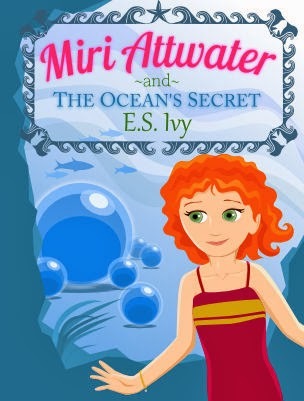 My newest book is Miri Attwater and All That Glitters, about Miri's underwater adventures living at the bottom of the ocean among the mermaids of Kai Kaona. You can find me at my website, where I blog about my books, original crafts, and children's literature. Thank you so much for having me today on your blog. It's an honor to be here!